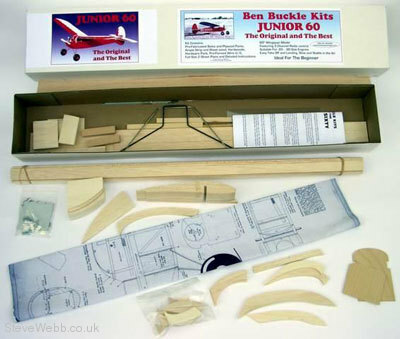 The Ben Buckle Junior 60 has it's origins in free flight and so will fly happily on it's own allowing the pilot to enjoy seeing it fly with just the occasional 'nudge' on the radio to keep it from flying away. If a nice bit of relaxed floating around appeals to you then a Ben Buckle Junior 60 is the one to go for! Engine Size .20 - .30 2 Stroke or .35 4 Stroke be careful not to overpower!